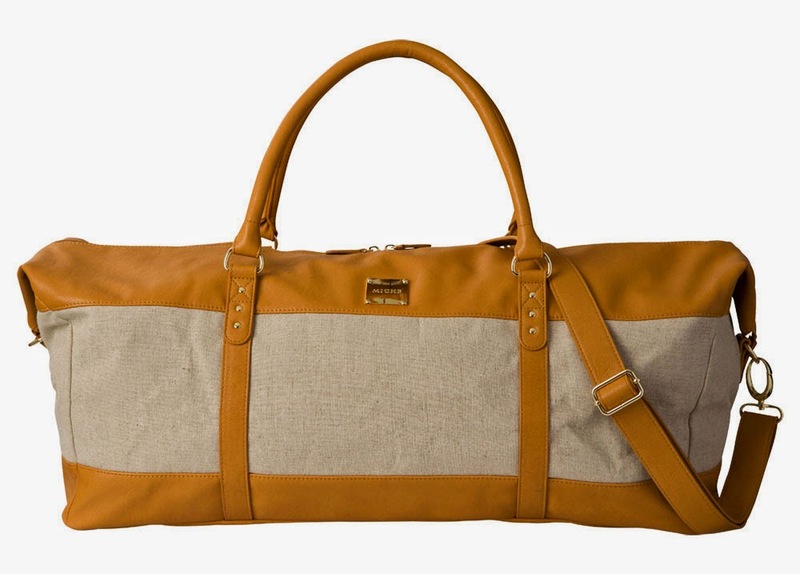 Vienna Duffle Bag is carry-on compatible and features sturdy cotton linenblend in oatmeal, with butterscotch faux leather trim, piping details and top zipper closure. Interior is lined with a fun plaid fabric in butterscotch, blue, cream and rose, and features a convenient deep open pocket. Zippered top closure. Dimensions: 22” x 10”. Gold hardware.